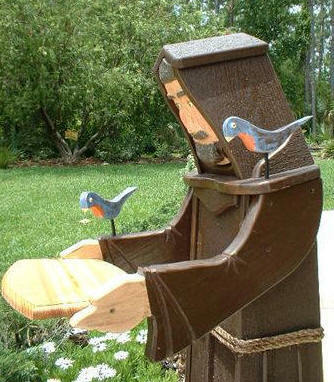 Almost life-size and constructed entirely from cedar, Brother Francis is always ready to provide for his feathered friends. 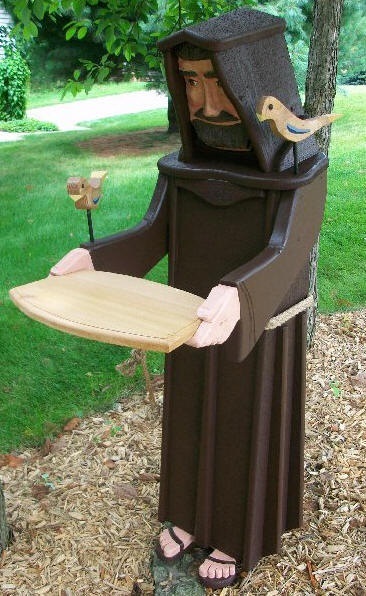 Hand carved with attention to detail, he's built in the original Woodendipity style. He can also act as a butler, offering snacks to guests or even as a plant stand. 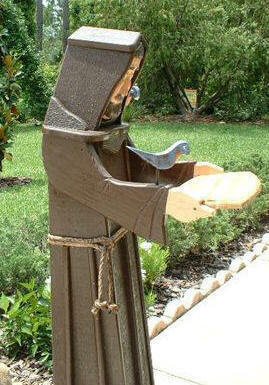 Certain to be a cherished addition to your home or garden. 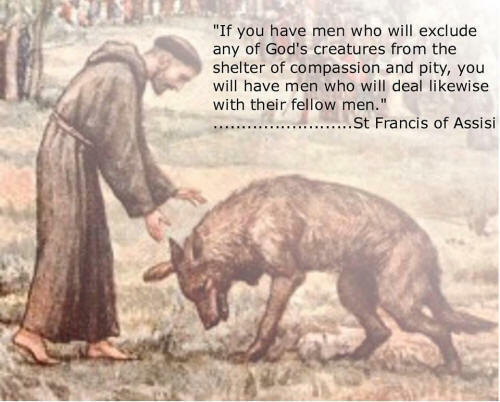 We recommend setting your Brother Francis ON top of a patio brick or some other concrete type base so moisture and bugs cannot bore into the wood.